Join the CrossFit Mayhem crew as they compete for a cause as "Rich Froning's Mayhem for Mustard Seed Ranch" returns to Cookeville. Take the opportunity to see the most elite CrossFitters in the world compete alongside the amateurs. Or better yet, sign-up to be a competitor! This annual international CrossFit competition raises funds to build homes for Mustard Seed Ranch. 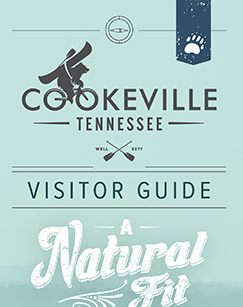 Prepare to be charmed by our majestic mountains, rich historical heritage, art and cultural events, unique downtown shops, cosmopolitan cuisine and our magnificent state and local parks.